Posted on October 23, 2013 by Mandy	in Comic Books and tagged Art, Arts, Comic book, Comic Books, Comics, D'oh!, FyndIt, Homer Simpson, Papier-mâché, The Avengers. Boys and girls, check your materials before you decoupage your next art project. You could be slapping yourself on the forehead and yelling d’oh in your best Homer Simpson voice if you don’t. An artist in England named Andrew Vickers mistakenly used some very rare and expensive comic books to paper-mache a life-sized sculpture. 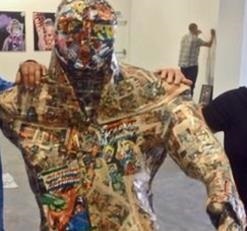 He found the collection of comic books discarded in a dumpster and he picked them up to use as art material. He shredded each comic book one by one into scraps of paper and glued them to a large sculpture made out of chicken wire. He titled his piece The Paper Boy. Little did he know, his sculpture was made out of pages from a stack of comic books estimated to be worth over $20,000. His tragic mistake was not discovered until his piece was out on display in an art show. The owner of a comic book shop in England attended the show and was intrigued with the materials Vickers used in The Paper Boy. Once comic book guy got a closer look at the pages glued to the statue, he realized the comic strips were from a first edition The Avengers as well as early additions of X-Men. You can imagine the look on the artist’s face when comic book guy told him what he had done. D’oh! Even though the artist may not have an appreciation or understanding of the value of comic books, you would think he would see the #1 on the cover and perhaps recognize that the artwork looked like it was created in the 1960s? He is an artist, so he has to have an eye for detail, right? He must have been looking closely at the pages to cut them up to shreds. Was it entirely possible that he completely missed noticing that the comic books were vintage? Don’t let this happen again. Save old comic books! If you know where to find the first edition of The Avengers comic book, tell FyndIt about it and your knowledge of its whereabouts could earn you some money. Posted on October 14, 2013 by Mandy	in Toys. Check out The Secret of Toys documentary. It provides a great look inside the careers of a handful of very talented action figure sculptors. Do you happen to collect rare or vintage action figures? If you are looking to add to your collection, post the item you are looking for on FyndIt and an entire community of people will track it down for you. Why should you spend all of your time and effort looking for something when you can pay someone else a small fee to do it for you? Posted on October 14, 2013 by Mandy	in Toys and tagged eBay, Jim Henson, Kermit, Kermit the Frog, Miss Piggy, Muppets, Sesame Street, Shopping, Woobies. Growing up, my Aunt had a penchant for purging my cousin’s toys and woobies (blankets) without consulting with her first. Over a period of time, my cousin lost most of her childhood favorites. As we entered adulthood, I made it my mission to try to replace the items that were near and dear to her heart. 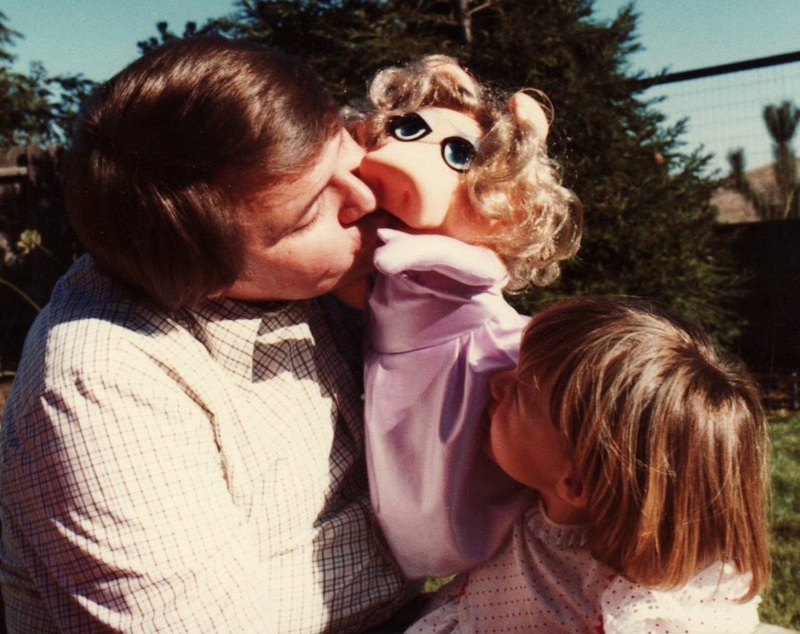 It all started with the most coveted of all of her childhood friends, a 1978 rubber faced Miss Piggy puppet. I had no idea where to start looking for Kermit’s sassy lady. Even if I could explain what the puppet looked like, there was an extremely slim chance that the antique and consignment shops in my local area would actually have her. Unfortunately, I did not have her picture at the time. My quest began back in the late 90’s, and someone suggested to me that I use a website called eBay to look for Miss Piggy. I had never checked out a website like eBay before and quickly learned that it had a plethora of Muppet memorabilia. There were Muppets in all shapes and sizes listed in auctions, but unfortunately not the Miss Piggy I was looking for. I spent the next several weeks checking back on new listings, but ultimately gave up on my quest to find the perfect pig. Several months later I found Miss Piggy online and when she showed up at my doorstep I barely recognized her. She was in very bad shape and I had to perform beauty shop surgery on her. I was hoping to track her down by my cousin’s birthday, but my quest for the Muppet ended up being longer than anticipated and she was given as a very belated Christmas present instead. The look on my cousin’s face as she opened up her long-lost Miss Piggy was a priceless moment that I will always cherish. I am elated that the two of them have been reunited. At the start of my quest I didn’t realize the road to finding Miss Piggy would be so long and bumpy. In this day and age there has to be a better way to find such a unique item. Instead of having to actively search for her across a variety of channels, I think it would be cool if I could post a family photo of her on a website somewhere and say, “I want this; can someone find it for me?”, and then BAM she is delivered to my doorstep. How do you currently go about finding hard-to-find items like this? 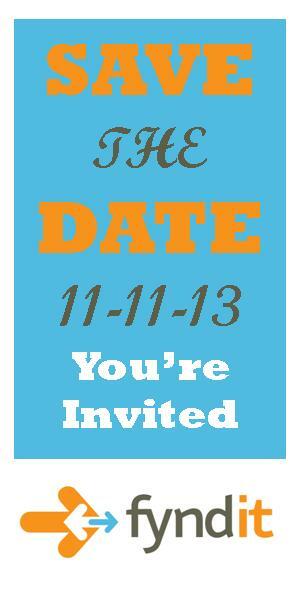 Posted on October 12, 2013 by Mandy	in FyndIt and tagged Beta Test, FyndIt, Product Testing. What can FyndIt do for me? Posted on October 10, 2013 by Mandy	in FyndIt. Welcome to FyndIt! We help people find stuff. We know the majority of cool stuff is still offline. Our service brings local and global into the same marketplace. This enables the private collector, specialty stores, mom and pop shops to have their goods found alongside major e-businesses. How does our site work? At FyndIt, there is a global community of people called finders who are available to search the ends of the earth to help you find any item your heart desires. Let’s say you are a comic book lover and you are looking for a rare and hard to find comic in mint condition for a set amount of money. Log in to FyndIt.com, under the Want section, post an image link or upload a photo from your computer or mobile device, add a short description of your item, the desired price and a bounty offering to the person who finds your item within a specified time. A finder will see your photo in the Want section and start hunting for your item both online and offline. If there is a match, the finder will reply to your Want and post a photo of their Find. If the Find is to your satisfaction, you agree to pay the finder a bounty and the location of the item will be made available to you. The exchange of information is secure, efficient, and easy to use. For avid collectors looking for collectible items, FyndIt provides the best possible chance of locating the right items by enlisting the help of other users. Instead of depending on stores or sites with a limited selection, FyndIt lets you proactively broaden your search to get better, faster results.